Iaido Fall seminar with CIK gradings from 1st up to 5th dan. Applications for seminar and gradings are now closed. Kendo Fall seminar with gradings from 3rd to 5th dan. Registrations are open. 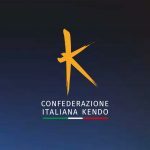 CIK Confederazione Italiana Kendo is a non-profit sport organization for promoting and development the Japanese martial arts Kendo, Iaido, Jodo and Naginata in Italy.